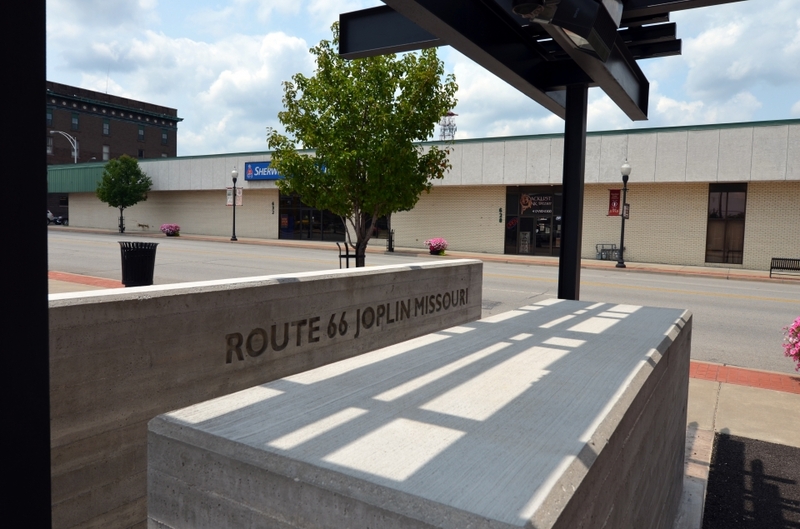 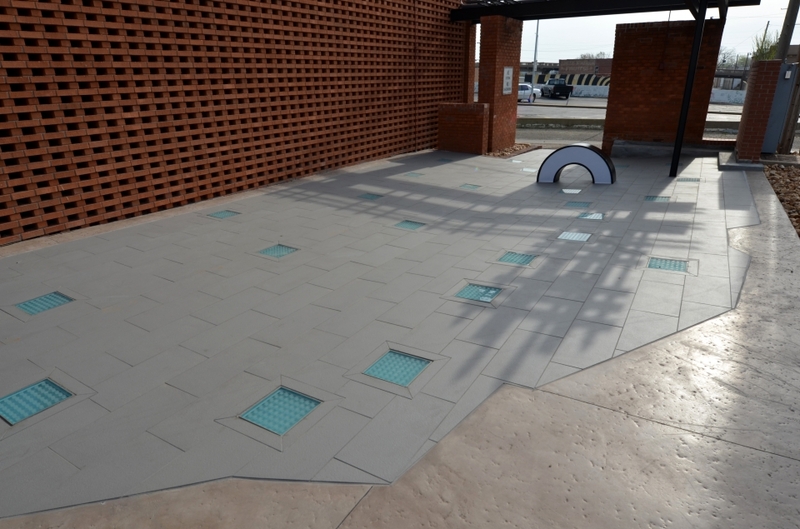 The Route 66 Mural Park, located in the heart of downtown Joplin, serves as a focal point and a tribute to the traditions and culture brought to Joplin by the Mother Road. 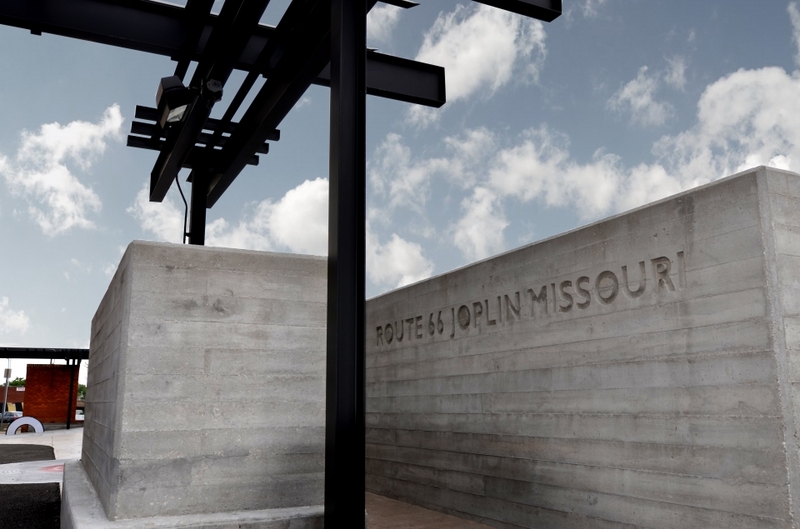 The two murals show the path of the road through the US with a focus on the Joplin Area. 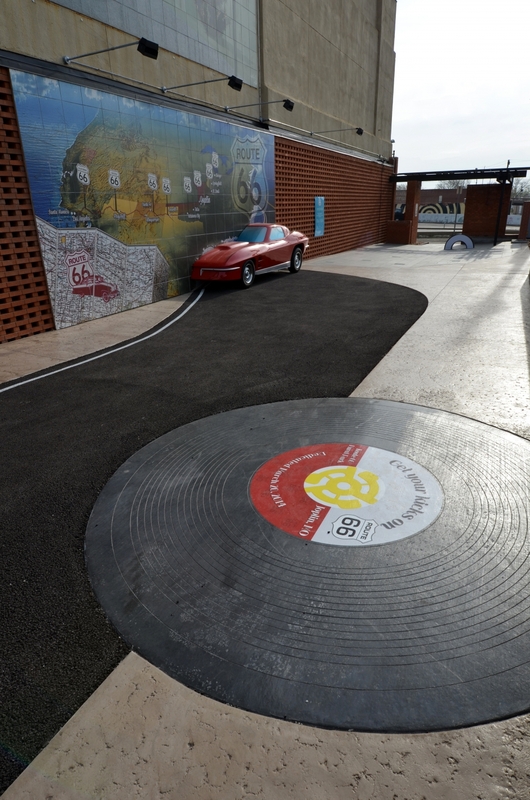 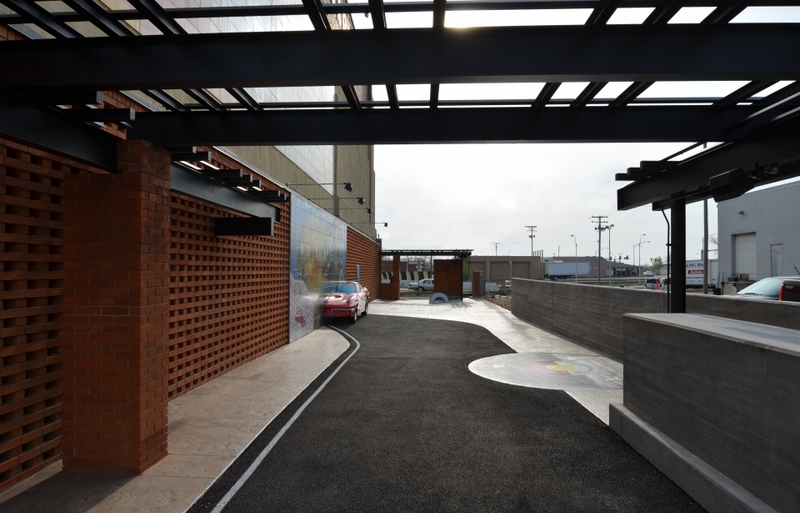 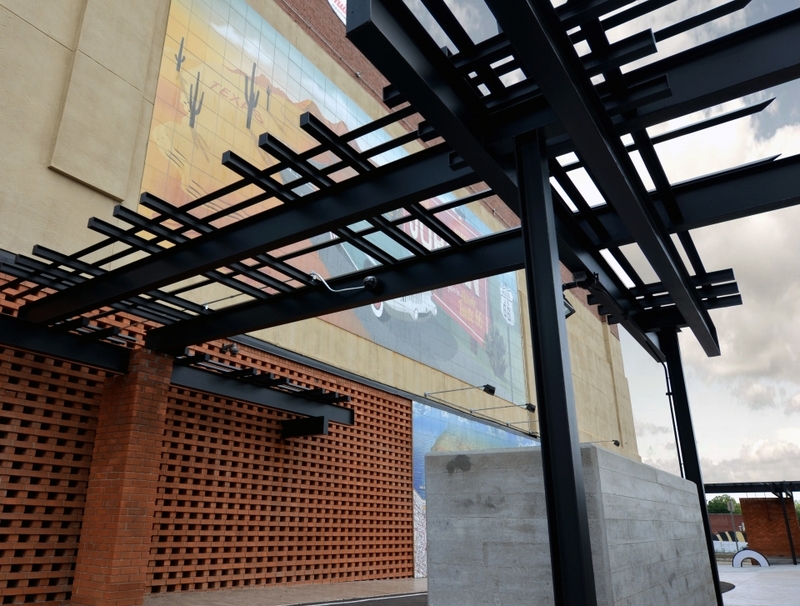 An asphalt road extending from the lower mural engages visitors and makes them feel as if they are walking along Route 66. 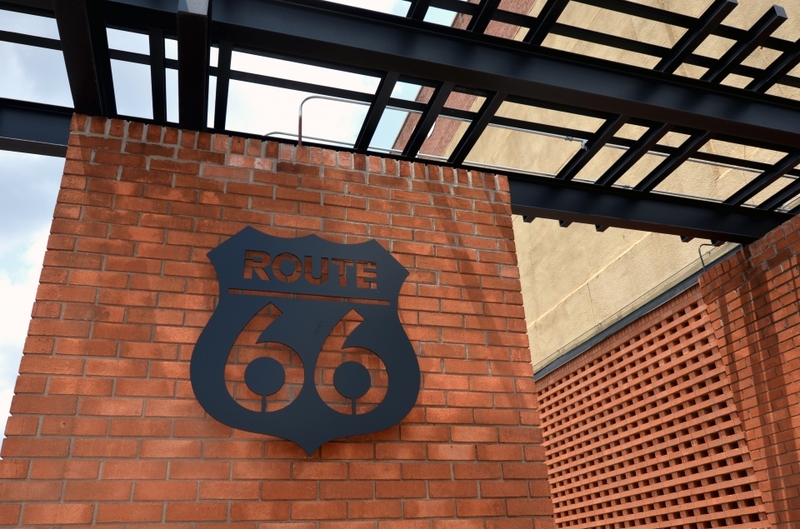 At night, visitors to the 6,200 square foot park can experience the unique ground lighting effects that represent major cities along Route 66. 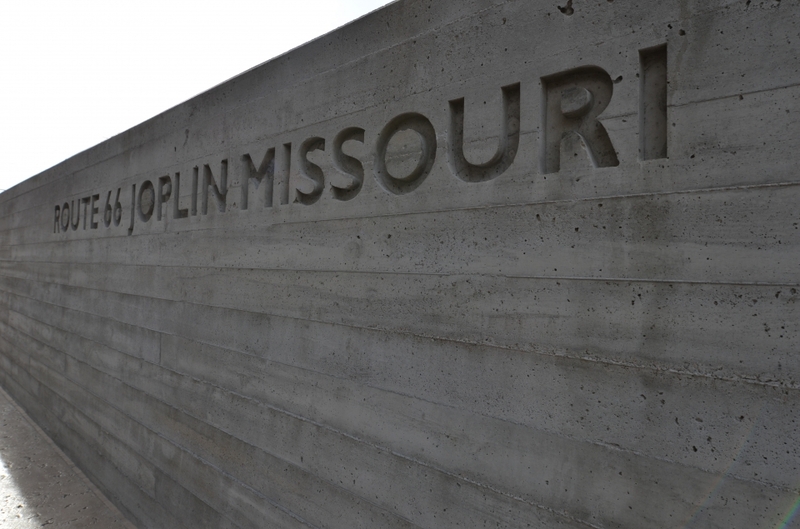 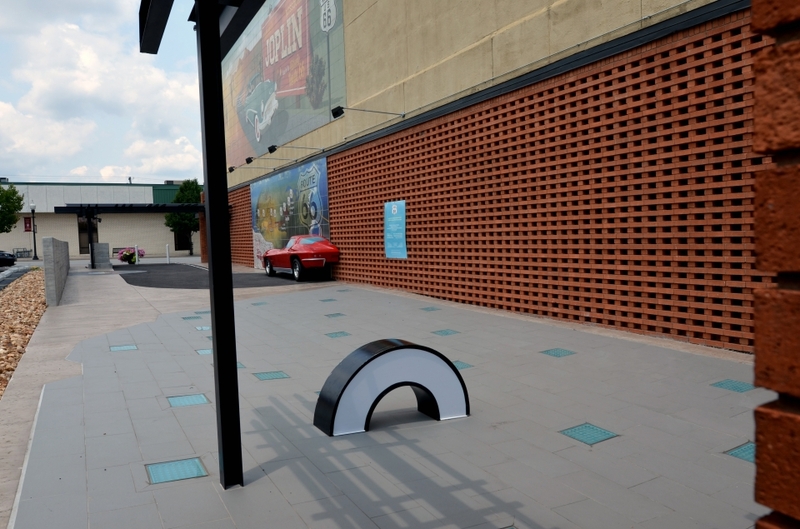 A custom “whitewall tire” light was created that represents Joplin’s location along Route 66.